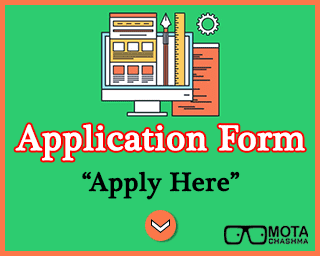 Application Form 2018 (Available Now) for the candidates who wish to apply for the 2018-19 admission in Engineering, Medical, Management, Law, Architecture etc courses. In this article, we have covered all the application forms that are active and can be filled for the admissions and exams. Registration is the initial step for the entrance or admission in any course and exam, thus we have listed the Registration forms / Application Form for Exams that are open now and conducted for different streams after class 12th. Get complete details of National Level Exams, State Level Exams and University Entrance application forms. You can also Register Here for Free Update with us on the release of the various application forms as per your streams. For engineering admissions in India, Candidates are required to apply for the JEE Mains Exam conducted by CBSE at National Level. Many colleges and Universities offer direct admission in Engineering for which students are required to apply specifically. Some of the Universities and colleges also conduct their own entrance exams and their own scores are applicable for the admission, for example, BHU UET, IPU CET, KCET etc. Get the complete details of the engineering admission in India. Admission to the BArch course in India is based on the NATA Exam Score or the JEE Main Paper 2 Score of the candidates. BArch is a 5 Year full tie course in ARchitecture, The candidates are required to qualify NATA Exam to get the admission in BArch colleges in India, Listed below are the application form for the NATA Exam and the application form of the Universities/ Colleges offering BArch course. MBBS Admission in India is based on the NEET Scores of the candidates, Except for the AIIMS and JIPMER. Candidates can get the application form for the Entrance exams like AIIMS MBBS, JIPMER Entrance and NEET Exam below. The admission is open to multiple courses in these universities. In most of the cases, there is a common application form for all courses. We have listed below some prominent universities of the country. Application form for all the polytechnic admission in India can be found at the link below. Students can apply via links given below. Each state has their own polytechnic admission process, There are Government as well as private polytechnic where the students can get the admission, Listed below are the links to get the admission into the polytechnic institutes in the country. Students who have passed their class 12 and interested in pursuing their career in Law have to apply for the admission by filling the college-specific application form, However, the candidates can apply for the CLAT Entrance Test for the admission in the top NLUs (National Law University). Follow the link given below for the applications forms (that are currently open) for the Law admission and Entrance test in India. There are many Government and Private Hotel Management Institutes in India one can apply for the admission in the 2018-19 academic year, Unlike, BTech, MBA and MBBS there is no State Level of National Level entrance exam. The admission is either conducted on the basis of the candidates class 12 Marks or the entrance exam conducted specifically by the universities of Institutions. Candidates can get the latest active application forms of the Institutions offering Hotel Management Course and its entrance exams in the links below. MBA Application Form can be found here for the 2018-19 academic year admission. These application forms given below are open now and the candidates can apply by clicking their respective links. There are many entrance exams in India for the MBA Admission in India conducted at National/State and University Level. Candidates can check the application form that is currently open and available for the MBA/PGDM Admission in India. For any queries related to Application Forms in India, You can write to us in the comments section below.